Australian Standards (AS2293.1.2) require all buildings – and their tenancies – to have adequate emergency and exit lighting installed and tested every six months to ensure a safe egress for all personnel in the event of an emergency situation. 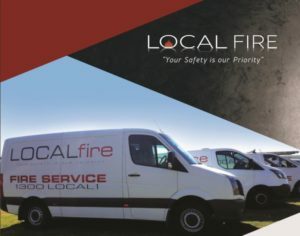 Our qualified Competent Fire Safety Practitioner (CFSP) can provide you with advice regarding compliance with building fire safety regulations and statutory requirements. We can then design the best solution for your building and any tenants you may have. We are licensed to carry out the regular testing needed and provide a full report. If defective fittings are found, we will provide you with competitive quotes for replacement.